After stretching the canvas herself and dripping brushes full of red, yellow, and blue acrylic paints in countless layers to help "it become what it will," painter Ilene Spiewak signs her work. Like most artists who struggle with obsessing too much when the paint dries, Spiewak admits she tries "not to go back and torture" herself once her name finds its way on the canvas. A painter since age eleven, Spiewak felt that it was the ideal outlet as someone who never considered herself "very expressive or articulate." While this seems to be a surprising admission after perusing through a selection of her gorgeously eye-catching work available online, the high school teacher turned full-time artist said that throughout her life, even if "I wasn't painting, I was thinking about it." 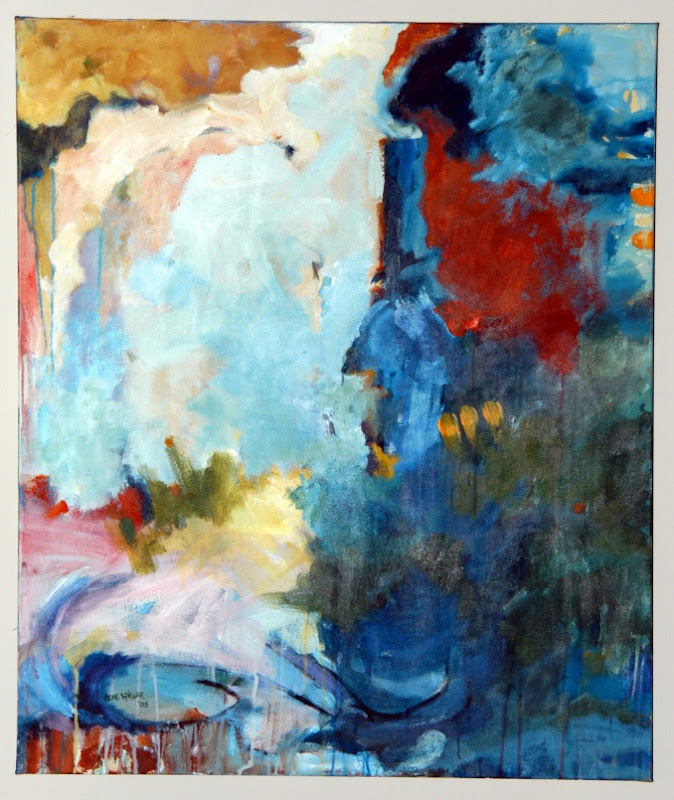 Now hoping "to just paint forever," Spiewak's slightly abstract, highly colorful, multi-textured, and beautifully expressionist paintings derived mostly from still-life are available to a larger audience via her website.